Charlton and Blackpool fans will take their protests against their respective clubs’ owners directly to the EFL on Friday, September 14th, with street demonstrations planned outside the league’s offices in London and Preston. The Coalition Against Roland Duchatelet (CARD) is calling on Addicks fans to assemble at 55 Blandford Street, W1, at 12.30pm. 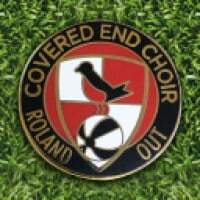 And it wants other football supporters, as well as London-based Blackpool fans, to join them. Blackpool Supporters’ Trust will lead the 3pm protest at EFL House, 10-12 West Cliff, Preston, and welcome any Charlton and other fans in the north who are available. Duchatelet, Charlton’s owner since 2014, is currently embroiled in a public dispute with Valley staff about unpaid bonuses, while attempts to sell the club have foundered because of his unrealistic valuation. He has been the subject of a long series of demonstrations at matches since 2015. Local Greenwich and Woolwich MP Matthew Pennycook described the situation at the club as “utterly shambolic” two weeks ago. A High Court judge ruled last November that Blackpool's owners have asset-stripped the club to the tune of £26m, bypassing governance arrangements to do so. Ten months on, the EFL has done nothing to address the concerns raised in the court ruling and the Oyston family continue to cling on to the club, with the EFL seemingly unwilling to disqualify them. CARD said: “Football fans in general, and Charlton and Blackpool supporters in particular, continue to be extremely frustrated by the EFL’s apparent unwillingness to address serious issues of poor governance at some of its clubs. “While we welcome the EFL’s holding statement on the situation at Charlton and the proposal to meet with both the club and the Charlton Athletic Supporters’ Trust, we need to see a great deal more urgency and focus. “While the EFL is dragging its feet, Charlton remain in a state of limbo with no executive directors, no chief executive, no chief financial officer, and until this week had had a caretaker team manager for six months. 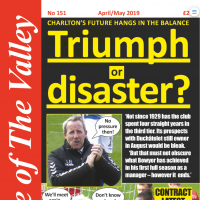 The administrative staff are up in arms because of the way they have been treated, while such day-to-day management as exists is implementing ill-considered, short-term decisions that rightly earn the derision of Charlton fans and the wider community. That cannot be allowed to continue. “What is happening at our clubs could impact anywhere, so we will welcome fans of all other clubs joining us. The EFL appears to be little more than a trade association with decisions taken by the clubs for the benefit of the clubs. But without fans it is nothing. We had scheduled this for release at 9am, but hey-ho! I am leading the London end of this joint protest so would very much welcome the opportunity to meet fellow lifers there. We envisage it will last from 12.30 until about 2pm, but we'll play it by ear. If you work in central London, please do come along for even a short part of that time. I'll be there for the duration. I'm liaising with the Police and need to have a rough idea of numbers. So, please PM me if you're planning to come. I presume there is no one at the EFL Offices on a Saturday hence why the protests werent planned for a Weekend? bugger, finish working in London today and won't be able to get there next Friday as would have started a new job elsewhere. Good luck though, would loved to have been there. Great idea......well done one and all. Are there any lifers in the Stockport area who fancy joining me for an afternoon in sunny Preston next Friday? I live in reddish in Stockport but unfortunately can't go. However I may have some banners you could transport if that's alright? Great stuff, CARD & the Blackpool protesters ! Sadly, next Friday is already booked in the Fanackapans' filofax but we know the day will be a huge success with loads of media coverage. I was going to be joining Holly Willoughby for the day next friday but I might cancel for the cause. Let me mull it over. Seriously, good luck to all those involved. I'll be there with a couple of London based Pool fans. Oyston and RD out. Dress code, black and white scarf or red and white? Apologies Franck, it won't happen again. Red and white.....how many people outside of us Addicks do you think know the significance of the black and white scarves/protest............answer zilch! I never thought it was a good idea in the first place as people seeing pictures and media footage of supporters wearing black and white clothing etc wouldn’t even know they were Addicks......waste of time to be honest, sorry if I’ve offended anyone as I know those that bought and wore the clobber meant well but I think that wasn’t one of our best ideas. WE ARE RED AND WHITE......in case you hadn’t noticed guys ......why confuse the populous. Blame the bloke with the cardigan. FWIW it was very effective in highlighting the extent of disaffection at a time when others were still defending the regime. Yes, I agree for ‘the clubs fan base’ it did have some quite worthy significance but it meant little or nothing to anyone beyond the gates of The Valley.....and most certainly wouldn’t at an important demo away from SE7. So actually not a "waste of time" at all but good idea that worked brilliantly in achieving what it aimed to IE be a symbol of discontent visible to fans and outsiders alike. I applaud any ideas by anyone or any group.....for some reason or another the black and white project just didn’t rock my boat. Yes, it was relevant and worked well for us at The Valley but I don’t think it was picked up that much by non Addicks/ media, I think most of them in the general populous who saw it were confused by it or thought they were Fulham fans!!! Think we should ALWAYS be decked in red.....no matter what. But as I say, I applaud anyone who comes up with wheezes or stuff rather than sit on their arse and do nothing......every bit helps, whether I like it or not doesn’t matter at the end of the day.